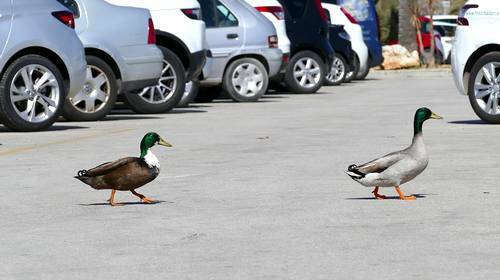 It's tough crossing the street when you are a duck. With those short little legs and web feet. And little ducklings to guide and direct. 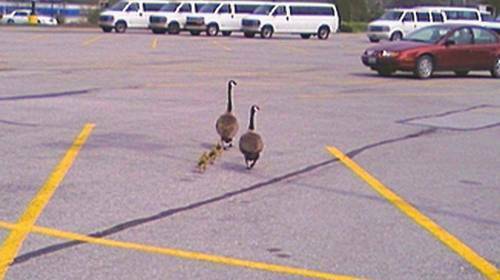 It's especially tough when crossing with your family. 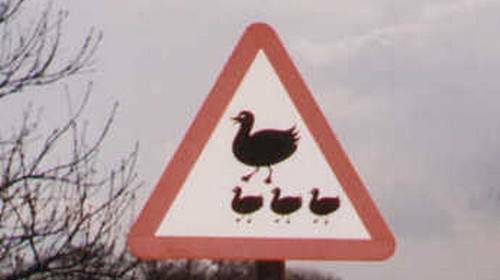 Good thing some towns and villages are helping out now, with their newly installed "Duck Crossing" signs!